I've a lil' free time so I'll post something for your eyes to feast on. Plus, I promised to put more effort into posting. Apparently, a handful of you are keen to read about my progress. Several weeks ago I attempted rustic-style ciabattas. Repeatedly. 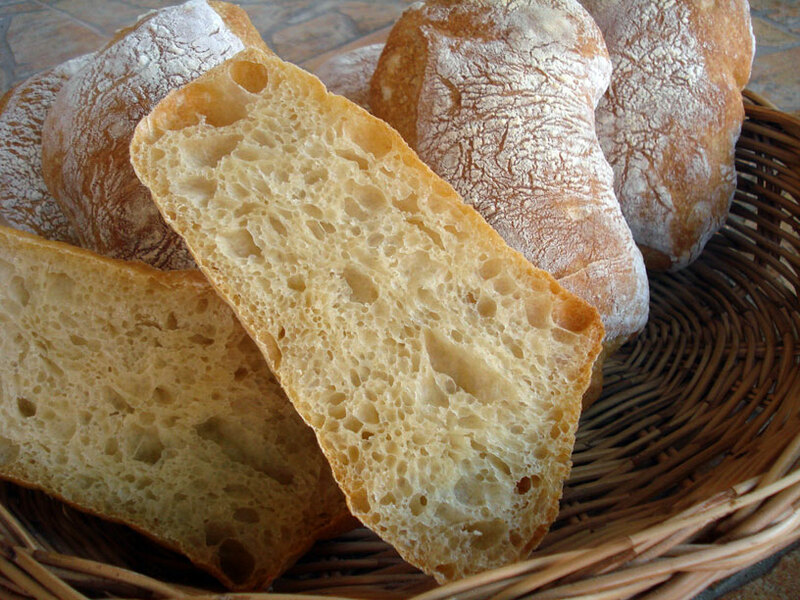 In the photo above, that particular ciabatta contained a bit of durum semolina (pasta flour), about 30% baker's percentage. Absolutely gorgeous, nutty, buttery aroma, I remember, but too chewy crumb. For last Sunday's Farmers Market, I switched to fine durum wheat flour (and less amount) for the ciabatta and increased its hydration. I also baked up a few seeded "Couronne Bordelaise" and 6-strand honey challah topped with poppy seeds. To attract more customers, I collaborated with 2 partners. Santa Clara (boutique hotel) produced a range of fresh, healthy dips and spreads (such as coriander pesto, smoked eggplant dip, and spicy hummus). George's (restaurant & rhumerie) supplied 3 natural, tropical fruit jams (mango, orange, coconut pineapple). Did my strategy work? Hard to say but I was ecstatic after selling nearly all of my breads, including the Couronne! Earlier this week I made a batch of demi-baguettes for a client. For months, years even, I resisted making baguettes, going as far as denying requests from restaurants and hotels. 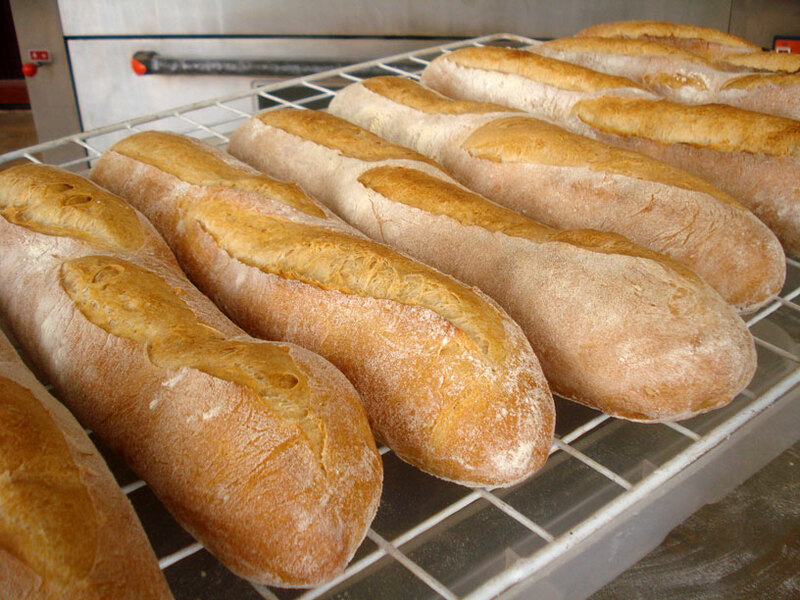 Dozens of bakeries in town make (Vietnamese-style) baguettes by the hundreds, daily, a few producing French-style baguettes. Do I really want to compete with that, I thought? Yes. Yes, I do now. For about 3 weeks, I developed a formula for my "brioche rolls" (aka brioche feuilletée or flaky brioche). It's a laminated brioche dough, resulting in a lighter, more flaky, more buttery brioche. Another twist: my brioche rolls contains a dollop of ripe sourdough for flavour enhancement and leavening. Also, for the first time I'll sell demi-baguettes (and sourdough English muffins) to the public. Somewhat anxious because the majority of my customers are French!! the breads and the pastries are all looking good to me. Though I have to agree with you that the ciabatta would be better if the crumbs are more open. Oh well, we all learn a bit of something each and every time we bake, don't we?! :) but it still looks good to me. I too resisted to bake any baguette here mainly because of the small oven I have at home as baguettes will have to be at least 35-40cm in length and my oven just isn't big enough to do so unfortunately. I know I'd have to do it eventually....maybe a Demi-baguette but I am just wondering on how did you do all the proofing in such a warm and humid environment...Perhaps in some baking pans? Am in Malaysia and so I do understand the predicament here. Another reason is that my shaping skill is still very poor....so I am kinda afraid to disappoint myself for the moment. And finally, the brioche rolls....they are the keepers to be honest. They got me craving for some pain au chocolate (in Paris) or chocolatine (in Toulouse) with a cup of coffee on a summer morning in France. Well done and as always.....all the best to you there. Happy Baking and keep posting too! P/s: I'll be visiting Bangkok soon and remembered of a bakery supplies shop you mentioned some time ago. Gonna follow your footsteps should I have some free time to do so....yay! Though am afraid I won't be able to pull myself out from the shop. Agreed. A ciabatta isn't a ciabatta if it doesn't have an open crumb! Thank you for the fine compliment on my brioche rolls. I'm just venturing into viennoiserie (brioche, puff pastry, etc) and need much practice to compete against other pastry chefs and bakers in town. Won't be easy, but I do love a hard challenge. Happy travels to Bangkok! Certainly a paradise if you land yourself in same shop I did. I caution you, though, leave the majority of your cash elsewhere. You might go broke buying an assortment of baking trinkets, gadgets, and doodads. They all look great Mr. Zita! For visual impact my first choice would be the Couronne but for the one where I will just binge, it will be the cinnamon palm sugar brioche rolls! Not sure how much you can binge on the brioche rolls, as they're rather buttery, but people can certainly try! Re your info I turned the heat up on my baguettes et voila suddenly the oven "works." Thanks! Love your brioche rolls. Good to hear, Varda. May your baguette sales skyrocket. Glad to see your post Zita. Glad to see your post Zita. I love the look of those brioche rolls and that Couronne looks fantastic as well. What kind of reaction have you been getting for your demi baguettes so far? What formula are you using? Well, in a few hours I'll head to the Sunday Farmer's Market. Then we'll see how my baguettes are received, mostly by the French. For the batch I made for my client, he loved it! Formula: just your standard baguette made with an overnight poolish. About 67 to 68% hydration, 5% whole wheat durum flour. Has a mild, sweet nutty aroma and soft, somewhat open crumb. I mean, not as open as a super hydrated ciabatta. 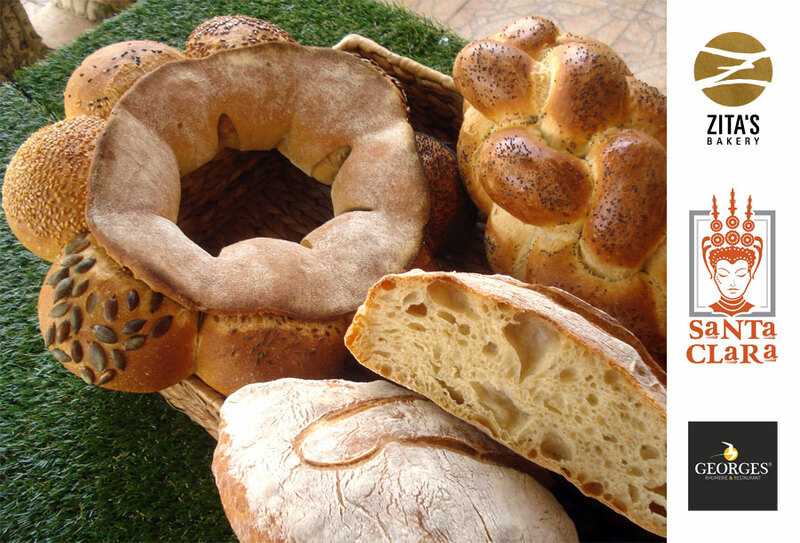 Love these breads especially the brioche rolls. I am impressed because I know how much muscle/time it takes to laminate dough if you don't have a sheeter - which I do not. Proth5 got me interested in lamination but I have to admit I don't do it often due to the work required so when I want that effect I resort to a 'mock lamination' which is just rolling a highly buttery dough in the same fashion as one would for a laminated dough - no butter block to deal with…It works but it's not the same as true lamination but my family doesn't complain. I have just been eying a brioched dough that has cardamom and orange zest added and now I see your brioche and maybe I will do some experimenting with flavors…. I love reading about how you keep expanding your baking skills. A sign of someone caught in the grips of baking's seductive qualities. So easy to be lured into the 'next' challenge. It certainly does take a bit of time and effort laminating dough without a sheeter. A challenge I'm not too fond of, especially when imagining doing dozens of my brioche rolls. But my desire to satisfy people's cravings compels me! You're also right about the addictive qualities of baking. 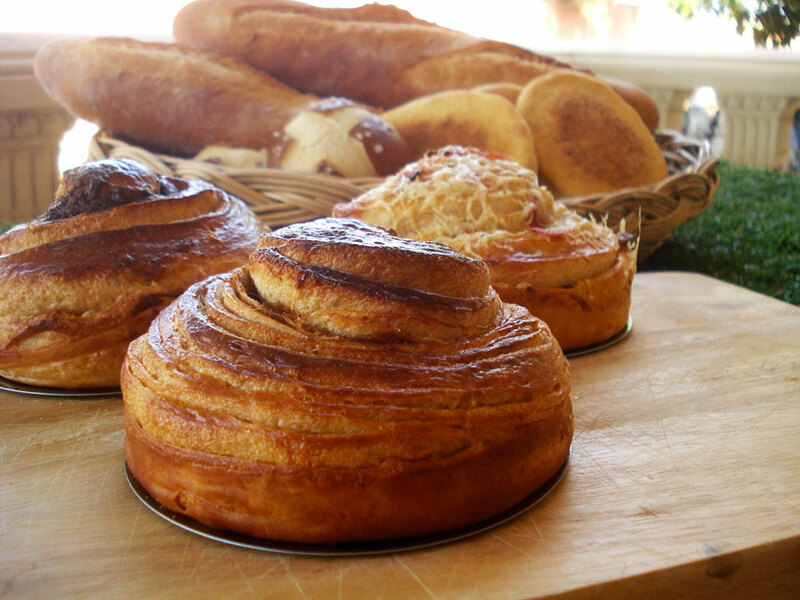 It's easy to find yourself exploring in different areas of breads and pastries. There's just so many ingredients and techniques to try and apply! Thanks for commenting. As always, a pleasure reading from you.